Change your horse, change yourself, change your life! Whether you have a great horse and just want to advance your skills, or you have a horse that spooks at everything it sees and refuses to get in a trailer, or somewhere in between, I would love to be able to help you. I can teach you and your horse how to be on the same team and get the results you want. 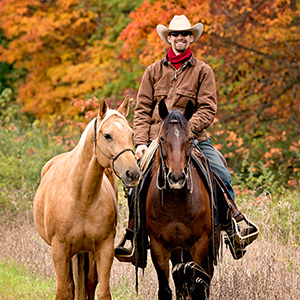 By using natural horsemanship methods and techniques, I am able to help you have a better relationship with your horse, all while learning how to be safe and confident, and how to be a better horseman. My name is Matt Hendricks and I am a certified 3 star Jordan Brasser Horsemanship instructor and a 2 star behaviorist. I founded Hendricks Horsemanship LLC to help people and their horses to have a better relationship with each other while at the same time to get better results than they’ve ever achieved before. Copyright © 2018 – 2019 Hendricks Horsemanship LLC. All rights reserved.